Rubber keyboards are available at some electronics stores and through their manufacturers as well. Many manufacturers also produce rubber keyboards that are specifically made for use with industrial equipment. The main advantage of a rubber keyboard is its flexibility. It is so flexible, in fact, that it can be rolled up or folded and stuffed into a backpack or some other bag without any concern to its safety or the safety of that in which it is stored. A rubber keyboard is a full keyboard, which is a great feature for those travel a lot and have need of computer technology. Additionally, rubber keyboards and keypads are utilized in industrial applications for machine control panels. Due to its material composition, these keypads and keyboards are usually resistant to liquids which makes them especially useful for applications in moist environments. The rubber exterior keeps the moisture from interfering with the electrical components within the keypad, allowing it to function smoothly in conditions that mechanical keypads may not handle. Many rubber materials are also resistant to specific types of chemicals, and these keypads can be formed from these materials to allow for use in machines that utilize potent or harmful chemicals. Rubber keypads and keyboards can be utilized in many different applications, ranging from industrial to consumer use. In industrial settings, these keyboards are most commonly used on machinery control panels. Their considerable durability and resilience makes them an ideal choice for this sort of application, as industrial machinery tend to use oils and other fluids to function smoothly. These can quickly start to create a mess and work their way into the nooks and crannies of the machine. However, the rubber exterior of these keypads keeps all of these contaminants from entering the sensitive electronic interior of the keypad, allowing for unhindered control of the machine. For consumer usage, rubber keypads are found on many different electronic devices, including TV remotes, mobile devices, toys, games, and many others. Again, the durability of these keyboards and keypads allows them to withstand the wear and tear of daily use, which is an essential feature for most consumer products. 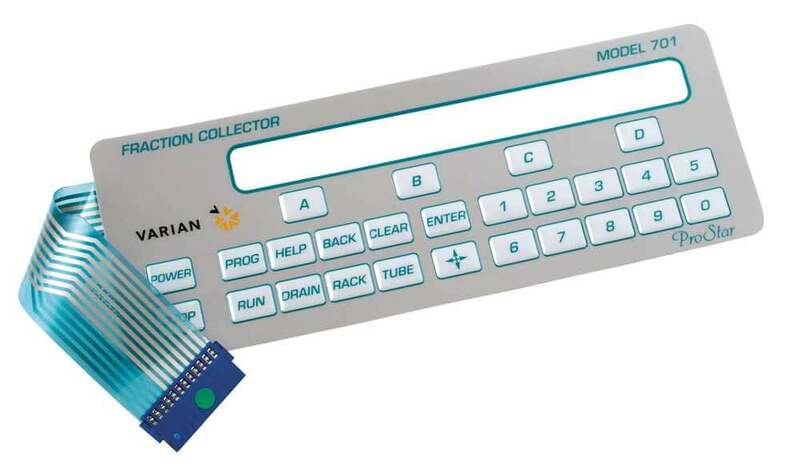 In addition, rubber keyboards can be customized to meet just about any requirement: size, color, layout, backlighting, and more, making them useful for practically any electronic control application. Rubber Keyboards A rubber keyboard is a keyboard whose components are primarily made of rubber. Traditionally, a rubber keyboard is made by casting a solid key mat, housing electrical components behind the mat and attaching a rubber piece that acts as the back.